Commercial locksmith Whitehall PA at LockTech24/7 ensure you get fast commercial locksmith service. 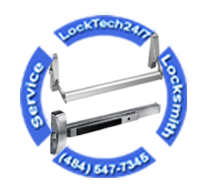 Business owners of Whitehall PA and Fullerton PA already uses LockTech24/7 for any commercial locksmith needs. After years of serving Whitehall and Fullerton, our reputation is well known to our local community of Whitehall PA.
We are mobile locksmiths! This means we come wherever you need us. With this in mind, we cover the entire Whitehall Twp, as well as Fullerton, Catasauqua, and the entire Lehigh Valley PA. As a matter of fact, we serve Easton at the eastside and Kutztown at the west side of the Lehigh Valley. Emergency Commercial Lockout Whitehall PA – 24/7 emergency commercial lockout services in Whitehall PA are available when you call us. It doesn’t matter when you need to unlock a commercial door in your business, we’re ready to help. We can unlock any door and any commercial lock, so don’t hesitate to call us as soon as possible. Public Storage Lockout in Whitehall PA – We provide emergency storage lockout services throughout Whitehall PA and the surrounding area. This includes UHaul storage lockout, as well as public storage lockout. 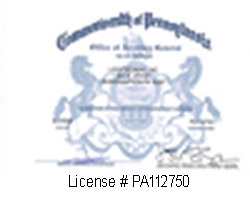 Lost Key of File Cabinet in Whitehall PA – If you’re a business owner in Whitehall or Fullerton PA you arrived at the right place. Do you need to unlock a file cabinet? We can help! No matter what file cabinet you have, whether Hon or Hirsh file cabinet, we can unlock it for you. Safe Lockout in a Business Whitehall PA – Usually, commercial safe is a heavy-duty safe box that hard to break in. Yet, if you’re locked out of your safe box in your office, please call us to unlock it for you as soon as possible. We provide commercial lock services for business in Whitehall PA. LockTech24/7 commercial locksmiths in Whitehall PA are ready to solve any commercial lock issue you have in your business whether you need to re-key a commercial lock or repair and replace a commercial lock on the door of your business. With this in mind, we serve all towns around Whitehall Twp. In a case, you need a locksmith in Coplay, locksmith in Laury’s Station, or locksmith in Fullerton, we will be happy to help. Please check our commercial locksmith services near you. Storefront Lock Re-keys in Whitehall PA – There so many stores on MacArthur Rd, so it just makes sense that business owners may need a commercial locksmith to re-key the locks on their doors. We are ready to re-key any commercial lock whether it attached to a push bar or not. Locks Repair on a Business Door in Whitehall PA – Repairing a broken lock on your business door can be done very fast when you call us. LockTech24/7 locksmiths are based only 3 miles away from Whitehall, so we can reach your office very fast. In addition, our experienced commercial locksmiths can also repair your lock professionally and efficiency. Storefront Door Lock Replace in Whitehall PA – When the lock of your storefront door lock is broken beyond repair, we, at LockTech24/7 can replace it for you soon after you call us. It doesn’t matter what lock you need on your storefront or back door of your business. Broken Commercial Key Extraction Whitehall PA – If one of your employees broke the key in the lock, don’t hesitate to call us as soon as possible. We can extract the broken key of your business and make a new key that works. We are local commercial locksmiths to Whitehall PA and we can arrive at your business, fast. Panic Bar (Exit Device) Repair or Replace in Whitehall PA – Sometimes, you may need to repair a push bar on the back door of your office. With this in mind, one of our commercial locksmiths in Whitehall can assist you soon after you call us. We are ready for your call 24 hours a day, seven days a week. Door Closures Repair in Whitehall PA – A door closure must work properly at all time, otherwise, it can break your door. When there is a windy day, a door closure should be strong enough in order to keep your door operate smooth. Call us if you need to repair or adjust your door closure. Installing a Buzzer System in Easton PA – An electric strike system can be very comfortable access control to your business. This means when a customer knocks on your door, you can open the door for him with a button that installed on your front desk. Please call our commercial locksmith Whitehall PA for any commercial locksmith need. We’re open now! We’re available 24/7! And we’re ready for your call!